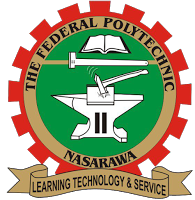 Federal Polytechnic, Nasarawa National Diploma Full-Time (UTME) first batch admission list is out for 2017/2018 academic session. According to the school management, the admission list has been pasted online. Candidates are to check their admission status on the JAMB CAPS portal and indicate their acceptance/rejection of the offer, for further action. Please inform others that the Federal Polytechnic, Nasarawa National Diploma Full-Time (UTME) first batch admission list 2017 is out by using the share button.